Winter Lights has a dedication to illumination for the nation. Winter needn’t be dark and dull! 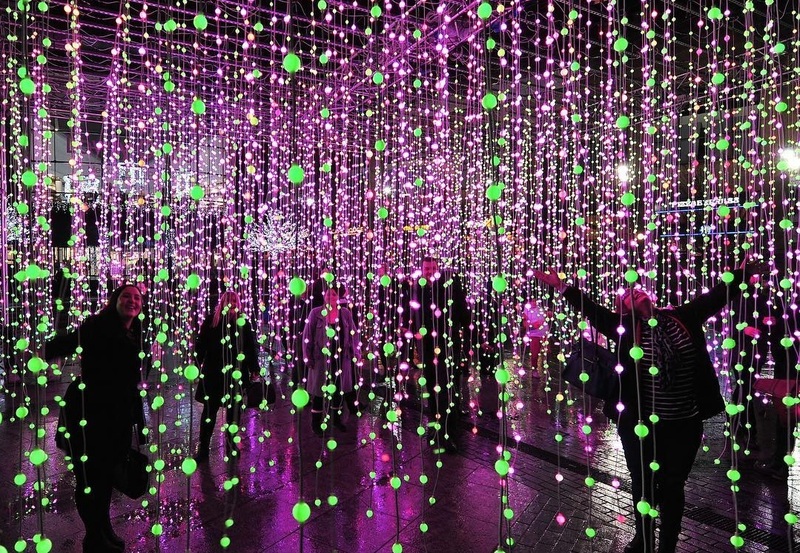 Back for a fifth year, Winter Lights festival has returned to bathe Canary Wharf in colour. 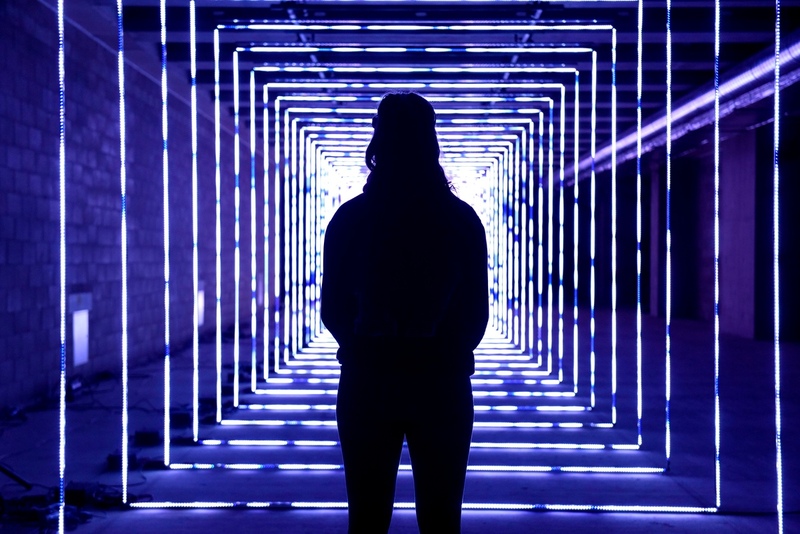 A stunning showcase of neon, LED, and everything illuminated, the festival sees light artists from across Europe gather in London, to show what an unbridled imagination and state of the art light technology can do. From January 15-26, London is lit once more – and best of all, the whole shebang is free to attend. Marcus Lyall’s ‘On Your Wavelength’ was a real crowdpleaser last year. Twenty-one installations will dazzle you with light and colour, including a mix of old favourites and new creations. Amongst the new arrivals are ‘Light, Stone, Pavement’ – an immersive game of hopscotch composed of electric luminescent ribbons. RAW Design’s ‘Prismatica’ will project every colour of the spectrum when the sun goes down, whilst Squidsoup’s ‘Submergence’ is an early crowd favourite; a shimmering waterfall of colours which will make you feel like God of The Lights. Other spectacular installations include ‘Floating Islands’, a joint effort from Mürüde Mehmet and schoolchildren from Tower Hamlets that calls attention to plastic waste. More thought-provoking works come from Paul & Pute’s ‘Time & Tide’, and the breathtaking 18-metre ‘Whale Ghost’ from Pitaya. Another stunning display from last year. Aside from the brilliant illuminations, you can also feast on street food from vendors including Nazari, The Rolling Dough, and The Duck Truck. 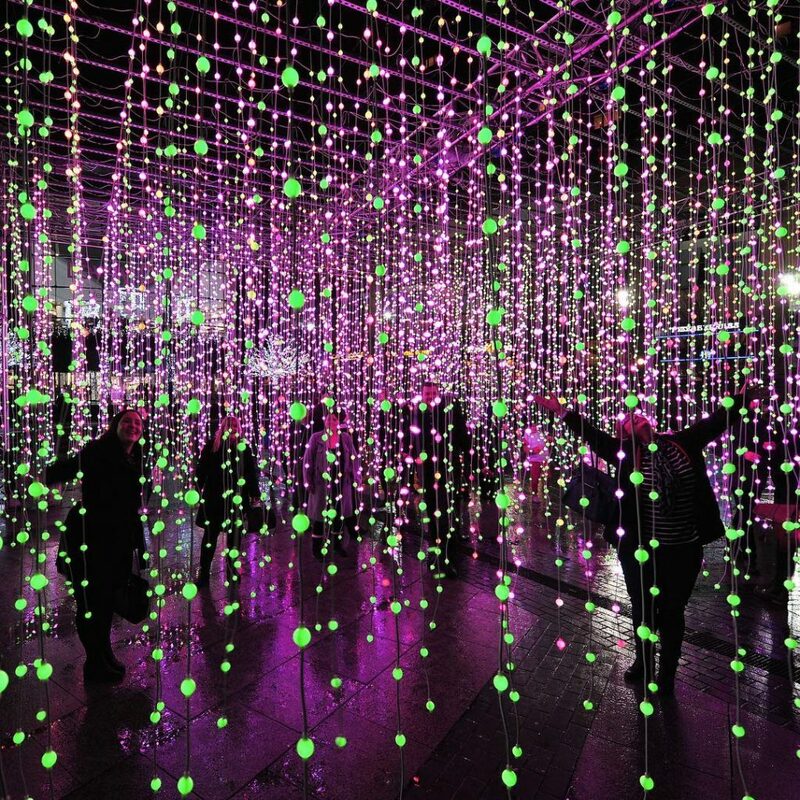 Winter Lights festival takes place at Canary Wharf from January 15th-26th, 2019. The installations will illuminate from 5pm to 10pm, and the nearest station is Canary Wharf. More information can be found here.